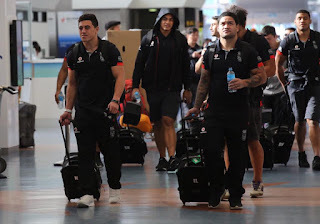 It is no secret that the Warriors have the toughest travel schedule in the NRL. As far as professional sports go, for a club side they would have one of the more demanding in world sport. Of course there are other examples of club sides that rack up the frequent flyer miles but it's not a common occurrence and outside of sporting teams from NZ, you wouldn't be able to find too many clubs that are required to do quite as much travel as the Warriors do. As challenging as it may be for the Warriors, it certainly should not be used as an excuse to drop games away from home. At the end of the day this is a professional organisation and the ability to handle the travel schedule should be near perfected as they approach the end of their 22nd season in the competition. The sad reality of the matter seems to be that it still resembles a work in progress and the frightening thing about it all is that there seems to be a common opinion floating around that the Warriors are a better team away from home than what they used to be. Judging by the stats over the last 5 years the Warriors are nothing short of awful away from home and if that's an improvement on seasons prior to 2012 then my brain has clearly wiped any memory of what you could only explain as a traumatic experience as a supporter. One of the biggest issues i see with how the Warriors approach their travel is their persistence in wanting to fly home between back to back games in Australia. The latest example being the long trip to Perth, where they flew home and then had to fly back to Australia a matter of days later to take on the Raiders. A trip from Auckland to Perth is a total of 5,343 kms one way. A trip from Auckland to Canberra is 2,302 km's one way. So in less than a week the team flew for a total of 15,290 km's. As an indication of how far this is, Auckland to New York is only 14,185 km's. Cutting out the return trip back to Auckland after the game in W.A saves them almost 5,000 km's worth of travel, which is almost a one way trip from Auckland to Perth. Why is the club not preferring to set up camp in Australia for the week and use the time for team bonding? The return trip is not proving to be successful with results over the last 5 seasons showing as much. From the 2012 season up until 2016 the Warriors have on 10 occasions been required to play back to back in Australia for a total of 20 games, winning only 6 of those for a winning ratio of 30%. Now i understand that the players have families they want to get home to spend time with during their down time, unfortunately sacrifices sometimes need to be made and while i fully respect just how much these players give up in the way of a "normal life", it's important to remember that it isn't an uncommon occurrence in the work force to be away from home for weeks on end on occasion. While i am sure the players aren't the reason why the club chooses to adopt the fly in and fly out regime, you can't help but wonder why they aren't implementing changes to a system that clearly doesn't seem to be working. It's not just the back to back games the Warriors struggle in, it's away games in general. Quite often i am left dumbfounded as i see the club announce they are flying out of Auckland as late as the day before a game. Again, if we look at the results over the last 5 season for games away from home, they do nothing but tell a frightening tale yet we continue to use a system that is failing. Since the 2012 season the Warriors have played 36 stand alone games in Australia (not including the back to back games) and won just 12 of those for a winning ratio of 33.3%. The worst thing is, is that the issue even filters down to those games played away from Auckland but still on NZ soil. 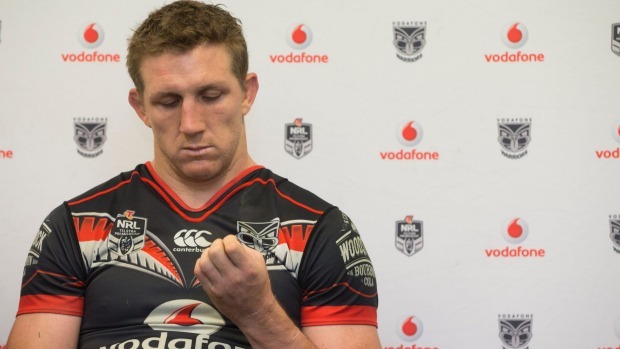 Over the same period the Warriors have played 7 games in NZ (outside Auckland) and have only managed 2 victories to give them a winning ratio of 28%. If we were to combine all games played outside of Auckland we only have a winning percentage of 31%, leaving far too much work to do at those games played at either Eden Park or Mt Smart. While the winning percentage is much higher in Auckland (52 games, 30 wins, 58%) it clearly hasn't been enough to earn a finals birth at seasons end. I'm not sure what the issue is or how it can be rectified but if the Warriors are ever to become a real force in this competition something must be done in order for them to improve their chances of winning away from home. If it was me in charge i would start with something simple, like not continuing with a clearly flawed travel system and instead leave a couple of days earlier and set up camp for those couple of games a season where we are required to play back to back games on Australian soil.